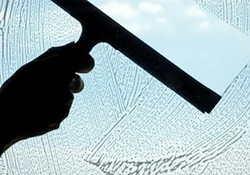 How to clean perform quick, efficient window cleaning without leaving glass smears. Window cleaning can be deceptively difficult and frustrating at times, especially for those who make-do with a cheap liquid cleaner and damp, scrunched-up newspaper pieces. Happily, most issues are easily avoided with the right techniques, equipment and a little practice. The following guide will help you breeze through the basics. The following tools (as recommended by Window Cleaning Brisbane) aren't too difficult or expensive to find, and are worth the effort. Combined, they'll make the process much easier. 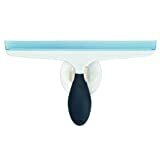 A vinyl window squeegee. This is the single most important tool for avoiding those irritating streaks from cloths or paper towels. If comfort and ergonomics are a concern, search for a rotatable squeegee. A window mop. Ideally, find one that retains water to avoid excess dripping. Window cleaning gel. This will stay in place, loosening the dirt without fear of dripping, diluting or damaging the windowsills. A bucket of water wide enough for the two above tools to comfortably soak. A toothbrush, cotton buds or anything else capable of reaching into corners your squeegee can't. A scraper. This is an absolute lifesaver for stains such as bird droppings, which would otherwise be very difficult to remove without fear of scratching. A cloth. This can take any form, including old towels or even well-worn t-shirts. Just make sure it's lint-free and unlikely to leave traces behind. Choose the right time. Early morning is generally the wisest starting point. Liquid is less likely to evaporate, you're less likely to face exhaustion, and by the time the sun is shining, you'll be able to review your work more carefully, checking for overlooked streaks. Generously apply the window cleaning. Again, a gel-based no-drip solution is best, as it reduces the risk of damaging nearby walls, windowsills or frames. Using your wet window mop, wipe in large circular motions. With your toothbrush or cotton, take care of the grime in the corners your mop is likely to have missed. Use your cloth, towel or lint-free fabric to wipe up any remaining evidence. Just remember to replace it when it gets too wet, as this can do more harm than good. With thanks to the Window Cleaning Beginner's Guide. Simple toothpaste is a surprisingly effective way to deal with window scratching! Just smear the affected area with a towel, spend 30-60 seconds polishing the scratched area, and wash off the remainder with a damp cloth. If the scratch is still visible, repeat the process until it's suitably hidden. Got any more window cleaning tips? Leave your advice to the Wizzley community below! You've cleaned your windows. Now to aim higher! Learn about the health dangers and property damage that comes from letting mold and algae grow untreated. Learn the best techniques for unblocking a drain or pipe, both DIY and professional. Fun BPA-free squishable squeaky ABC blocks for babies, toddlers or kids. Which alphabet blocks are best for babies and small children? Learn about safe, non-toxic toy baby abc blocks.